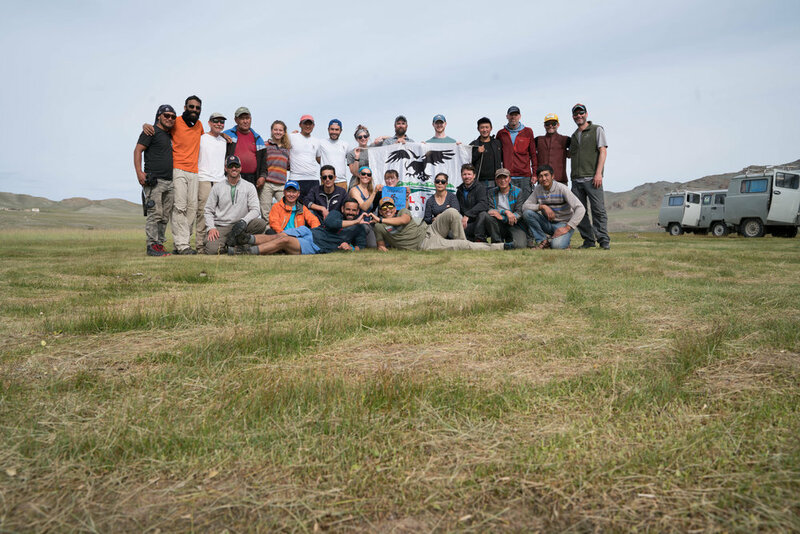 Join our 14 day course August 19th - Sept. 1st, 2018: Climb the Highest Peak of Mongolia @4375M (14,354 feet) with excellent instruction and the experience of Local Mongolian Mountain Guides. Mt. Kuithen Peak simultaneously borders Russia, China and Kazakhstan and is close to other beautiful peaks: Malchin, Niaramdal, Naran, Snowchurch and Olgii. The longest glacier of Mongolia, the Potanin glacier stretches for 19km from the eastern face of Mt. Khuiten. On the summit day, when on the top of Mt. Khuiten, you will be able to glance into Russia and China. The local Tuvan herders will act as your camel caravan handlers and as porters which will make for an unforgettable experience. Their culture, friendliness and traditions will make a lasting impression. Mongolia is everything you imagine it to be - empty plains, big skies, and ancient people still riding their horses as part of their everyday lives. Experience wilderness medicine education in a true wilderness landscape. Earn 16 AMA PRA Category 1 Credits. This accredited curriculum's highlights include pathophysiology, treatment and prioritization of care for a variety of medical problems encountered in the wilderness environments and settings remote from hospitals and definitive care. Physicians and allied health care providers who counsel patients traveling to remote areas will be interested in the topics covered during this unique CME event. 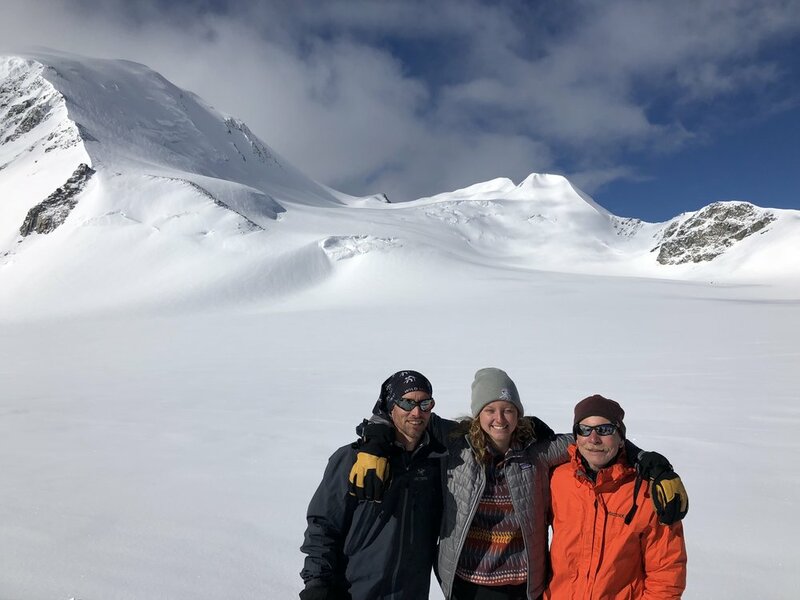 Curriculum includes altitude risk reduction, recent recommendations on altitude-related illnesses & prophylaxis, frostbite, and other general mountain medicine topics. This will be achieved through didactic lectures, small-group discussion and hands-on training. Anyone interested in earning CME and traveling to Mongolia is welcome to attend: Nurses, Docs, PA's, EMT's, Paramedics, NP's and any outdoor enthusiasts are welcome. Non-medicals are welcome to attend and will likely gain valuable insight into trip preparation and general wilderness medicine techniques. The Summit's accessibility is one of the amazing characteristics of Mt. Khuiten. There is minimal technical climbing involved in the ascent and any climber who is in good physical condition can reach the top without complicated skills and expensive climbing equipment. However, some mountaineering experience is recommended such as use of ropes during glacier travel and basic ice ax skills. Mt. Khuiten is a high altitude climb that is demanding and everyone should be comfortable with basic hiking and mountain skills. In addition, clients should be comfortable climbing 4-8 hours a day with a 40lb backpack and expect a long 10 - 12 hour summit day. You must be in excellent physical shape and should begin training and preparation much in advance. Many underestimate the physical demands of altitude and climbing steep terrain for long hours. Please contact us with questions or concerns regarding your physical preparation. Everyone should have some experience in the mountains and check with their personal physician before climbing such a demanding and high altitude mountain. Khüiten Peak (Mongolian: Хүйтэн оргил, lit. "cold peak") is the highest point in Mongolia, on the west side of the country along the border with China. It is 4,374 m (14,350 feet, previously 4,356 m) high and has a permanent snow cap. In the past, Khüiten Peak was officially known as the "Friendship Peak" (Nairamdal Uul (Найрамдал Уул) in Mongolian, or Youyi Feng 友谊峰 in Chinese). Khüiten Peak is one of five peaks of Tavan Bogd mountain. Another peak, which is about 2.5 km north of Khüiten, marks the border tripoint between Russia, Mongolia, and China; the name of that peak is given in international agreements and on maps as Tavan Bogd Peak (Russian: Таван-Богдо-Ула, Tavan-Bogdo-Ula; Mongolian: Таван Богд Уул, Tavan Bogd Uul), or Mount Kuitun (Chinese: 奎屯山; pinyin: Kuítún shān). Some sources, however, associate the name Nairamdal Peak (Friendship Peak) with the peak at the border tripoint.The first known ascent of Khüiten Peak was in 1963 by Mongolian mountaineers sponsored by the government. 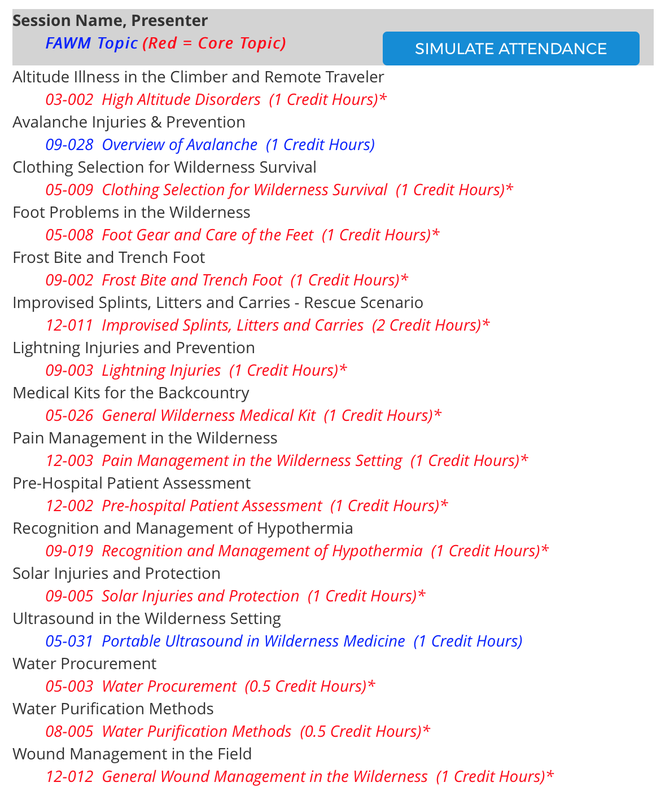 Intended as continuing education for physicians, NP's, PA's, nurses, EMT's and medics who aspire to work or teach as a field instructor/provider in recreational mountain environments or who may work in remote clinics and deal with the injuries sustained by mountaineers or outdoor enthusiasts. 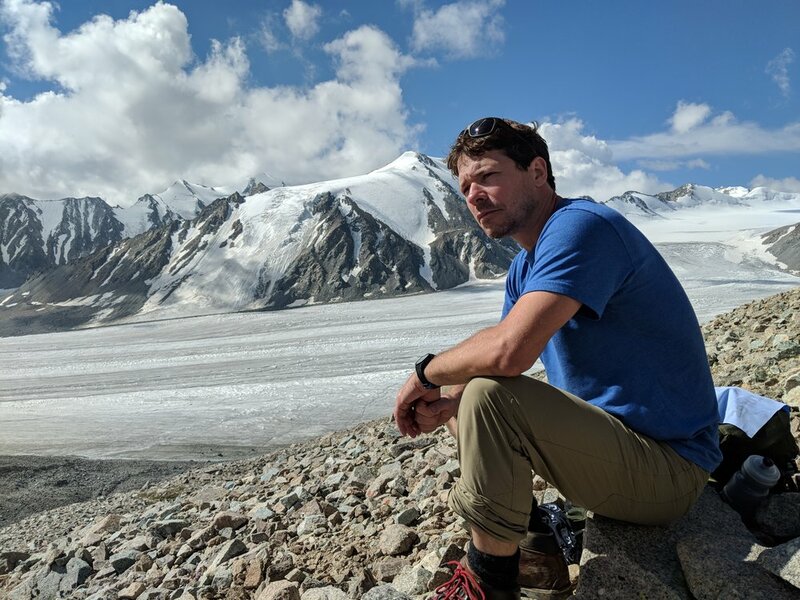 Anyone looking to have a great trip shared with medical professionals and gain a better understanding of proper preparation and illness in high-altitude environments. Skill level: This trip is open to all individuals in good physical condition and is a great first trip to altitude. It is a minimally technical ascent and no previous mountaineering experience is required. Expedition style. Moderate hiking, minimal technical skills necessary, but you should be in good physical condition. There will be long days of strenuous hiking. Those that booked trip dates: August 6-19th, 2018 can book flights as we are hosting this course. All accommodations as listed on the itinerary. Private ground transportation throughout the trip. 24/7 assistance in the US before and during the program. You will fly to Ulgii City, in the Bayan-Ulgii province in Western Mongolia, about a 3 hour flight. The population of this province is mostly Kazakh, with their own culture and language. At the airport you will be met your English-speaking guide, as well as your driver and expedition cook. Before lunch you will visit the town of Ulgii, seeing such sites as the local museum, the open air market, and the mosque. After lunch we will drive to Tavn Bogd (Five Peaks) National Park, about 90 km, with an overnight stay in a tent camp (Tent/L/D). The Wilderness Medical Society designates this educational activity for a maximum of 1 AMA PRA Category 1 Credits TM. Each physician should only claim credit commensurate with the extent of their participation in the activity. We are NOT guides. Wild Med Adventures sets up the trip with Local Resources and Guides but we are responsible for the Education/CME only. Our guides will be local. These activities are high risk and clients must assume responsibility of all illnesses and injuries that may be obtained in this foreign & remote travel adventure trip. While we try to ensure quality and safety for all of our trips, we can not prevent or guarantee safety and injury free trips. Delegates should have personal insurance to cover any in-country medical examinations or injuries, rescue/evacuation insurance as well as some form of trip insurance to cover missed flights, weather delays and other potential trip delays. We recommend Global Rescue as well for evacuation and rescue insurance. PLEASE set up an appointment with a travel clinic to ensure all appropriate vaccines and prophylaxis medications for Mongolia. The CDC is a useful resource. You should also discuss with your physician appropriate Altitude Sickness medications you should bring. The goal of the Wilderness Medical Society Mountain Medicine CME Conference is to provide participants with a unique environment to experience essential medical-related topics and learn skills while collaborating with expert faculty through educational activities including lectures, hands on work-shops, and Climbing Excursions. Provide education of value to providers who care for the medical needs and also those involved with coordination of diving-related educational activities, including medical providers who must educate and instruct diver safety with their patients. Demonstrate increased knowledge and skill in recognizing and treating the most common illnesses and injuries encountered in mountain-related environments, including altitude medicine, hypothermia, cold injuries, and common back-country injuries. 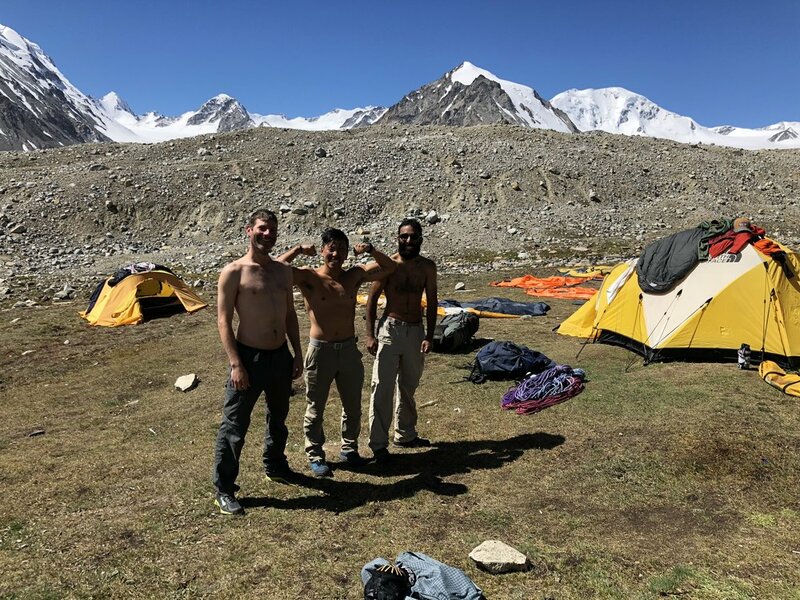 The Mountain logistics and leadership will be provided by experienced Local Mongolian guides, whose team members have a wealth of knowledge and experience. EMT, Paramedic, Nurse, PA, NP, RRT, PhD or Physician for the CME credit. Anyone interested in going on a fun, relaxed and well experienced team for a once-in-a-lifetime experience. Note: Wild Med Adventures highly recommends trip cancellation insurance for all expeditions. Due to the nature and heavy costs of government and operator permits, Wild Med Adventures must adhere to a stringent refund policy. Full refunds excluding DEPOSIT will be provided 120-days or more prior to course, trek and/or expedition date. 90-119 days prior to course, trek and/or expedition date = Loss of Deposit and 50% of remaining balance to be reimbursed. All balances are due 90 days prior to departure date unless otherwise specified and expect cancellation if not paid. Participants whose balances are not received by the 90-day deadline as stated above, risk forfeiture of their place on the expedition or a $250 late fee will be applied. Note: Wild Med Adventures reserves the right to waive any fees. As we offer personalized service, we will attempt to accommodate changes and cancellations when necessary, waiving certain fees when feasible. In addition, we are not responsible for your safety on the mountain or during your travel and stay in Mongolia. We help arrange trips and education modules. All guiding will be done by trusted and experienced local Mongolian guides. Upon Payment: We will send you Registration Forms, Waiver, and request passport and other information for setting up our travel logistics. PLEASE INQUIRE WITH ANY QUESTIONS ! HOPE TO SEE YOU THERE !